On the way out to Shelter Island I had some time to kill before getting on the bus. 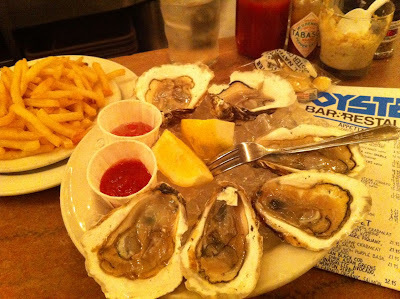 I like feeling like a real olde timey New York commuter by going to the Oyster Bar. I had Long Island oysters and french fries.